Not to be confused with Guadalupe Island west of Mexico. Guadeloupe, known as Gwadloup in the local creole, and sometimes known as the Butterfly Island (French: l'île Papillon) on account of the shape of two of its major islands, is a group of islands in the eastern Caribbean, and is a French overseas department, southeast of Puerto Rico. Basse Terre: green and lush vegetation, mountainous with a sulphuric volcano. Grande Terre: flat and dry with a lot of beaches, some of them very touristic. Marie Galante: the biggest island out of mainland Guadeloupe. Les Saintes: composed of Terre de Haut and Terre de Bas, one of the most beautiful bays. La Désirade: dry and cliffy. Petite Terre: uninhabited and untamed. St Anne a very nice but also very touristy city and beach (maybe the tourists primary area of Guadeloupe). L'Americano, bd Georges Mandel, 0590 88 38 99: bar/restaurant offers free salsa courses on Saturdays and live performances some days. You will find all kind of bars. You can try Club Med, 0590 85 49 50 fax: 0590 85 49 59 (for instance, others resort may propose this formula too) for a one day all inclusive (breakfast, buffet, bars, drinks, beach volley, windsurf, boat, gym, dance courses...) for about €46, so it may be a good deal (as it costs €7 one hour of windsurf). Morne à l'eau , renowned for its amazing cemetery composed of burial places made of black and white tiles. Anse Bertrand , not far from there, you can visit La pointe de la Grande Vigie, northern point of mainland Guadeloupe. You can also go to Porte d'Enfer, a beautiful still stripe of sea between a scenery of reefs. From there, walk one hour along the cliff, and you will discover a Souffleur, kind of geyser due to the pressure of the sea. Baie-Mahault : the industrial and commercial zone of Guadeloupe, nothing special to do or see. Here stands the biggest shopping mall of the island. Not too far from there, you can find a local bar/nightclub named Bik Kreyol, Beau Soleil, 0590 25 80 46 or 0590 92 06 48 (Entrance €5, Drinks €3). Local music (ragga, zouk, rnb) and local customers. The building is typical, it's a former warehouse. Don't miss the spectacular waterfalls in the jungle of Basse-Terre (Carbet Falls). Some are within 5–10 minutes walking distance from the nearest parking lot, some require at least 3–4 hours of hiking (those are, of course less frequented by other tourists and you might find yourself alone at a spectacular waterfall in the middle of nowhere - an amazing experience!). Guadeloupe is an archipelago of nine inhabited islands, including Basse-Terre, Grande-Terre, Marie-Galante, La Desirade, Iles des Saintes (2), Saint-Barthélemy, Iles de la Petite Terre, and Saint-Martin (French part of the island of Saint Martin). Being an integrated part of France, Guadeloupe is considered as European as Paris politically, so European Union immigration rules apply. 1 Pointe-à-Pitre International Airport (PTP IATA). Rentacar - One of the largest agencies of car rental in Guadeloupe, agency at the airport and English speaking counter agents. All types of passenger vehicles and several types of contracts possible. 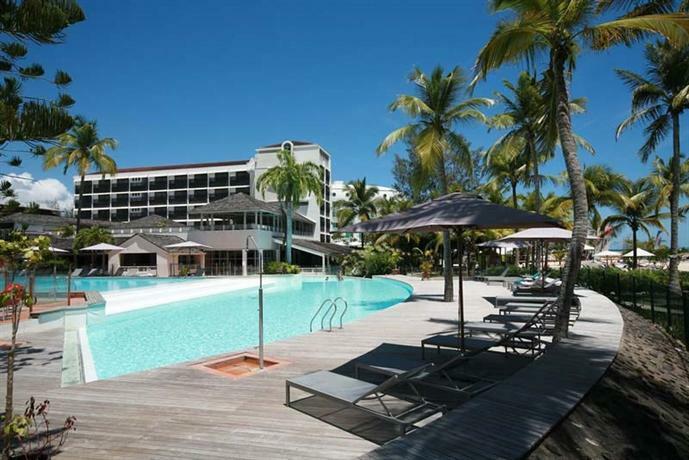 Quickly - Agency at the airport of Pole Caraibes, presents 14 years on the islands of Guadeloupe. All types of vehicles. Locacar - Car rental implemented on Grande-Terre, near to the hotels. Shuttle from airport services. From Martinique, Dominica, Saint Lucia, Marie Galante, Les Saintes: Express des Iles, Brudey Frères, Star Ferries. Windward Islands  - Windward Islands, one of the worlds largest yacht charter companies, can take care of all charter requirements, from bareboat to crewed in Guadeloupe, Martinique and St Martin. Operating from its international offices (USA, UK, Germany, France, Spain, Switzerland, Caribbean, Honk Kong, Dubai). Canadian Sailing Expeditions - Tall Ship Caledonia - Travellers can embark at Pointe-a-Pitre and sail on to various locations such as Deschaies. Windward Islands  - Windward Islands, one of the worlds largest yacht charter companies, can take care of all charter requirements, from bareboat to crewed in Guadeloupe, Martinique and St Martin. Operating from 8 international offices (USA, UK, Germany, France, Spain, Switzerland, Caribbean, Monaco). Natural beauty is perhaps Guadeloups main attraction, and tourists flock to its sandy beaches, azure waters and vast forests. 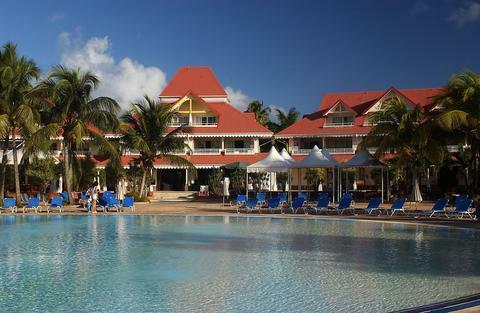 The southern coast of Grande-Terr is the main resort area, where you'll find developed, beautiful beaches and calm waters. It's a good place to kick back and enjoy a cocktail in one of the beach bars or join the many French women bathing in the Caribbean sun. Or, head for one of the many diving schools and explore underwater wildlife. For a fun day trip, hop on a ferry service around the scenic eight islands cluster of Les Saintes, skirting Guadeloupe's southern coast. The gorgeous and rustique island of Marie-Galante makes another perfect trip for a day or even two, as it has lovely scenery, great sands, 19th century windmills and sugar cane plantations to see. In contrast to the rolling hills and flat plains landscape of Grande-Terr, Basse-Terre (the western wing of the island) has a rough volcanic relief. Here you'll find the splendid Parc National de la Guadeloupe, a 74,100-acre protected rainforest with plenty of trails for expert and novice hikers. The park is home to the 1467m high peak of the La Soufrière volcano, the highest mountain peak in the Lesser Antilles. On its lower slopes are the grand Carbet Falls, a series of 3 waterfalls on the Carbet River and one of Gouadeloup's main attractions. For wildlife lovers, the Zoological and Botanical Park of Guadeloupe offers a great insight in tropical flora and fauna and its animal collection included rare and endangered species. Basse-Terre city, the administrative capital of Guadeloupe, is home to a range of colonial buildings. Furthermore, there are the 19th century Cathedral of Saint-Pierre-et-Saint-Paul, the main square and adjoining Jardin Pichon. In Pointe-à-Pitre, there are museums, a bustling creole market place and aquarium and of course the impressive colonial fort to explore. Guadeloupe is the filming location for the Franco-British TV series Death in Paradise, with the island doubling as fictional British Overseas Territory "Saint-Marie". The real village of Deshaies doubles for "Honoré", where the characters' police force is based. Not to be missed, the plate Colombo (chicken, rice, curry), imported from India, has become the typical regional plate. The expected cost for a restaurant meal is anywhere from €5-40. The local drink is white rum. Do try the "'Ti Punch" (petit punch/small punch) made with rum, lime, and sugar cane/brown sugar. Packs a wallop, so be prepared to melt into the island way of life. Sunset Surf Camp, 97118 Saint François, Grande-Terre. One of the few (perhaps the only?) 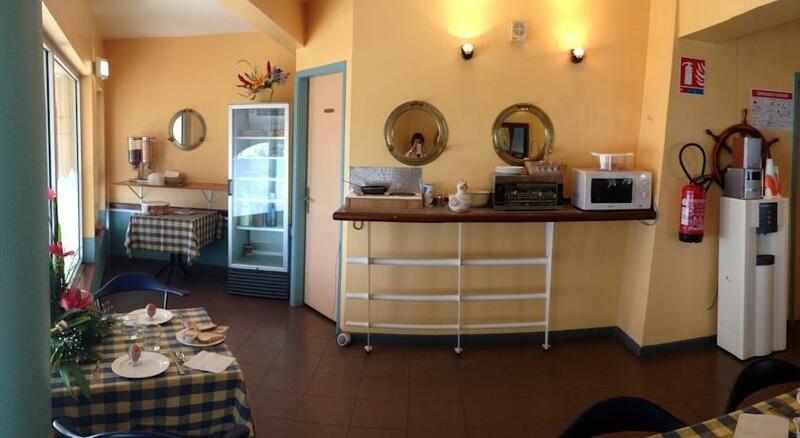 backpackers accommodations in Guadeloupe, with both private rooms and dorm-style rooms of three beds. The surf camp is located within a 2500m² tropical garden located a few hundreds meters from Raisins Clairs beach and it takes less than 10mn to walk to the center of Saint François. From €29 per night for a dorm room (high season 2010). 1 Gîtes de l'Habituée, Capesterre Belle Eau (route de morne crossing with chemin baron), ? +590 590 98 68 95, e-mail: gites-habituee@wanadoo.fr. 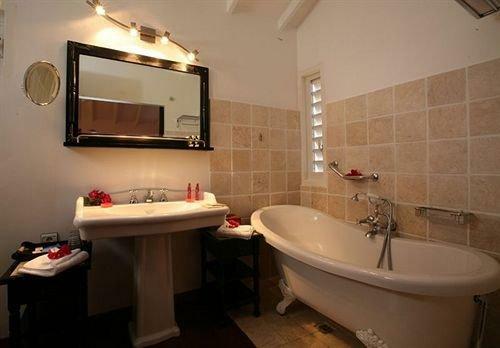 3 fully furnished Bungalows (#1:sleeps 2 #2 an #3:sleep 4) South east of Basse Terre island. Free WiFi. €35-55. 2 Fleurs des îles, Deshaies (plage de Grande Anse), ? +590 590 28 54 44, e-mail: contact@location-bungalow-guadeloupe.fr. The flowers of the Islands residence offers bungalow rental and rental cottages in Deshaies on the edge of the Caribbean in the middle of a tropical garden with swimming pool. WiFi. €34-55. PV-Holidays Sainte Anne Holiday Village, ? +33 1 58 21 55 84. 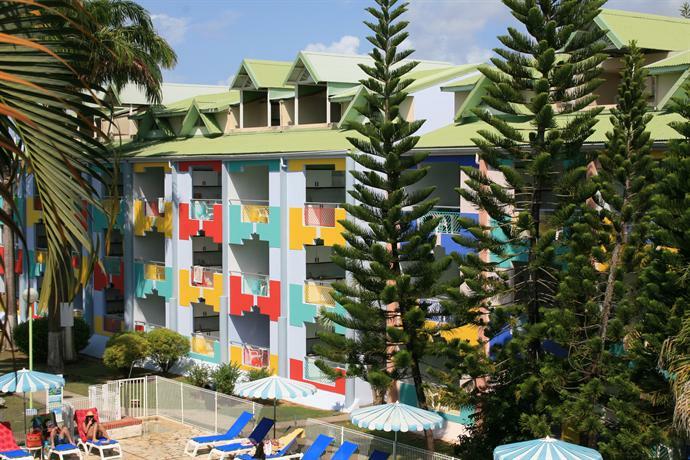 The self-catering village is made up of exotic 2-floor houses, each of which contains several hotel apartments. It is located “on the water’s edge” and is embellished by tropical gardens. Surrounded by two beaches, sports and water areas and has many on-site shops. 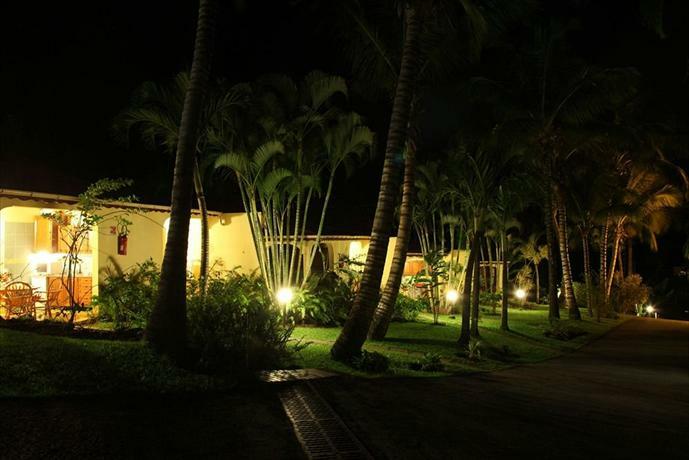 Hotel Amaudo, Saint-François, Grande-Terre. Has the best online reviews by a mile on the whole island, and looks beautiful in photos! From €130 a night (High season 2010). Hotel Karaibes, Le Gosier, Grande-Terre. Two star hotel, basic but clean and fine. From €70 per night (High season 2010). 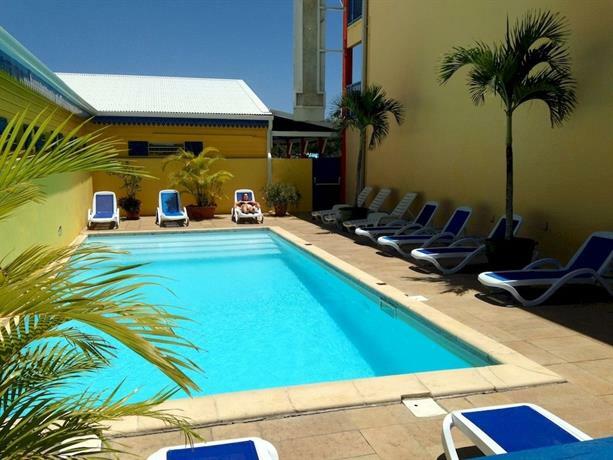 Hotel le Petit Havre, Route de la Plage - Petit-Havre - 97190 Gosier - Grande-Terre. Simple two star hotel From €85 per night (high season 2010). Aloes Vacances, route de la pointe des châteaux la coulée 97118 St François, Grande-Terre. Gites (holiday apartments) in St François, less than 10 minutes walk from the beach and the town. From €85 per night for a studio (high season 2010). Les Gîtes de la Grande Source, Rue du Souffleur - 97127 La Désirade. On one of the most genuine islands of the Guadeloupe archipelago, vacation bungalows in quiet tropical gardens only some 200m from the sea are awaiting you. From €46 per night for a double (high season 2010). Oualiri Beach Hotel, Beauséjour - 97127 La Désirade. 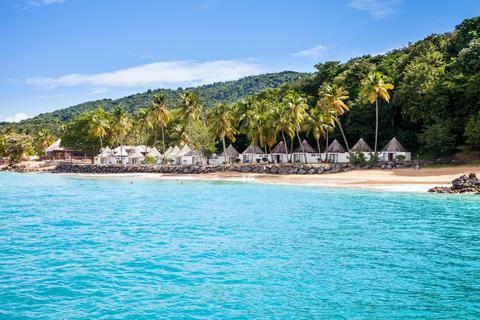 Of a reasonably small size allowing personal contacts, the Oualiri Beach Hôtel offers all the charm and authentic atmosphere proper to the island of Desirade. From €60 for a single (low season 2009). There is no particular disease but you should protect yourself from the sun. Sanitary and medical facilities in Guadeloupe are good. Health care in Guadeloupe is controlled by a state-owned organisation (Sécurité Sociale). Doctors are available in almost every village. Tap water is usually safe for consumption. Public sources of water are unsafe if labeled with "Eau non potable" (no drinking water). Visitors from European Union should bring their European Health Insurance Card with them. Ask details at your local health care organisation. While officially a part of France, the country does not have a very Europeanized way of life — life in the Caribbean has a much slower pace. Buses run very infrequently, taxis are hard to find, smaller stores open or close not always on time, queuing in stores is sometimes very time consuming... Try to fall into the local pace and do not complain about minor annoyances as Guadeloupeans will see that as an offense to their way of life. And they are proud of the distinction between caribbean and metropolitan (French) life style! Alternatively, you should be able to get a Pay-as-you-go SIM card from various locations. There is one company offering wireless services: Orange Caraïbe. Petty crime occurs. Ensure that your personal belongings, passports and other travel documents are secure at all times. Avoid beaches and unpopulated areas after dark. Check with local authorities to determine which beaches are safe. Demonstrations occur and have the potential to suddenly turn violent. Avoid all demonstrations and large gatherings, follow the advice of local authorities and monitor local media. Strikes may occasionally interfere with services. Roads are paved and maintained, and traffic safety is enforced by the police. The use of seatbelts is mandatory. Rented vehicles are available. Bus services are available in most major towns. However, buses operate only during certain hours. Schedules are unreliable. Ferry services provide transportation to associated islands. Taxis are safe but expensive; fares increase between 9 p.m. and 7 a.m.
Good-quality medical services are available. Not all doctors speak or understand English. Payment in advance is often expected. The use of seatbelts is mandatory. Children under 12 are not legally allowed in the front seat. An International Driving Permit is recommended. French customs authorities may enforce strict regulations for Guadeloupe concerning temporary import or export of items such as firearms, medications and animals. Contact the Embassy of France in Canada or a French consulate for specific information regarding customs requirements. If planning to marry in Guadeloupe, have all of the required documents before leaving Canada.